Motion planning is the problem of determining how to get the robot from one point to another. 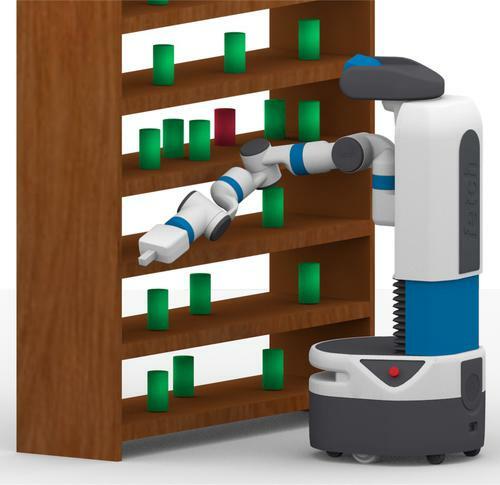 Ideally, robots should have past experiences, of their own and others, inform future actions to operate more robustly and improve their performance over time. Motion planning, as it is largely practiced today, focuses on solving one problem at a time and makes limited use of past history. The goal of this project is to transform the way robots plan their motions by learning to exploit similarities between different experiences and by creating strategies that can adapt to wide range of scenarios. The work will create a bridge between the motion planning community and the information retrieval community, potentially transforming both fields. Training opportunities for diverse students will be offered. All developed software is disseminated under an open source license and infrastructure will enable other researchers to use the experience databases and contribute to them. This project provides a two-pronged approach to transform motion planning using an experience database. First, hashing will be used on an environment to fetch roadmaps for similar environments from a database. A roadmap is a graph representing feasible motions for a robot. These fetched roadmaps will be then lazily composed and refined to allow the robot to plan efficiently in the current environment. The use of prior experience will be done in tandem with planning from scratch; the latter, if successful, can provide a path and add to the experience database. The second prong in the planned approach will be to maintain various performance characteristics of a library of motion planning algorithms. These characteristics will be then used to optimize algorithm performance and construct a portfolio of algorithms that is competitive across various problems. The overall framework will be implemented in the cloud. This work has been supported by grant NSF RI 1718478. C. Chamzas, A. Shrivastava, and L. E. Kavraki, “Using Local Experiences for Global Motion Planning,” in IEEE Intl. Conf. on Robotics and Automation, 2019. To appear. Sampling-based planners are effective in many real-world applications such as robotics manipulation, navigation, and even protein modeling.However, it is often challenging to generate a collision-free path in environments where key areas are hard to sample. In the absence of any prior information, sampling-based planners are forced to explore uniformly or heuristically, which can lead to degraded performance. One way to improve performance is to use prior knowledge of environments to adapt the sampling strategy to the problem at hand. In this work, we decompose the workspace into local primitives, memorizing local experiences by these primitives in the form of local samplers, and store them in a database. We synthesize an efficient global sampler by retrieving local experiences relevant to the given situation. Our method transfers knowledge effectively between diverse environments that share local primitives and speeds up the performance dramatically. Our results show, in terms of solution time, an improvement of multiple orders of magnitude in two traditionally challenging high-dimensional problems compared to state-of-the-art approaches. J. D. Hernández, E. Vidal, M. Moll, N. Palomeras, M. Carreras, and L. E. Kavraki, “Online Motion Planning for Unexplored Underwater Environments using Autonomous Underwater Vehicles,” Journal of Field Robotics, vol. 36, no. 2, pp. 370–396, 2019.
routines. The second one is to opportunistically check the states’ risk of collision. We present an approach to endow an autonomous underwater vehicle (AUV) with the capabilities to move through unexplored environments. To do so, we propose a computational framework for planning feasible and safe paths. The framework allows the vehicle to incrementally build a map of the surroundings, while simultaneously (re)planning a feasible path to a speciﬁed goal. To accomplish this, the framework considers motion constraints to plan feasible 3D paths, i.e., those that meet the vehicle’s motion capabilities. It also incorporates a risk function to avoid navigating close to nearby obstacles. Furthermore, the framework makes use of two strategies to ensure meeting online computation limitations. The ﬁrst one is to reuse the last best known solution to eliminate time-consuming pruning routines. The second one is to opportunistically check the states’ risk of collision. To evaluate the proposed approach, we use the Sparus II performing autonomous missions in diﬀerent real-world scenarios. These experiments consist of simulated and in-water trials for diﬀerent tasks. The conducted tasks include the exploration of challenging scenarios such as artiﬁcial marine structures, natural marine structures, and conﬁned natural environments. All these applications allow us to extensively prove the eﬃcacy of the presented approach, not only for constant-depth missions (2D), but, more importantly, for situations in which the vehicle must vary its depth (3D). Z. K. Kingston, M. Moll, and L. E. Kavraki, “Sampling-Based Methods for Motion Planning with Constraints,” Annual Review of Control, Robotics, and Autonomous Systems, vol. 1, pp. 159–185, May 2018. Robots with many degrees of freedom (e.g., humanoid robots and mobile manipulators) have increasingly been employed to accomplish realistic tasks in domains such as disaster relief, spacecraft logistics, and home caretaking. Finding feasible motions for these robots autonomously is essential for their operation. Sampling-based motion planning algorithms have been shown to be effective for these high-dimensional systems. However, incorporating task constraints (e.g., keeping a cup level, writing on a board) into the planning process introduces significant challenges. is survey describes the families of methods for sampling-based planning with constraints and places them on a spectrum delineated by their complexity. Constrained sampling-based methods are based upon two core primitive operations: (1) sampling constraint-satisfying configurations and (2) generating constraint-satisfying continuous motion. Although the basics of sampling-based planning are presented for contextual background, the survey focuses on the representation of constraints and sampling- based planners that incorporate constraints. Muhayyuddin, M. Moll, L. E. Kavraki, and J. Rosell, “Randomized Physics-based Motion Planning for Grasping in Cluttered and Uncertain Environments,” IEEE Robotics and Automation Letters, vol. 3, no. 2, pp. 712–719, Apr. 2018. Planning motions to grasp an object in cluttered and uncertain environments is a challenging task, particularly when a collision-free trajectory does not exist and objects obstructing the way are required to be carefully grasped and moved out. This paper takes a different approach and proposes to address this problem by using a randomized physics-based motion planner that permits robot-object and object-object interactions. The main idea is to avoid an explicit high-level reasoning of the task by providing the motion planner with a physics engine to evaluate possible complex multi-body dynamical interactions. The approach is able to solve the problem in complex scenarios, also considering uncertainty in the objects’ pose and in the contact dynamics. The work enhances the state validity checker, the control sampler and the tree exploration strategy of a kinody- namic motion planner called KPIECE. The enhanced algorithm, called p-KPIECE, has been validated in simulation and with real experiments. The results have been compared with an ontological physics-based motion planner and with task and motion planning approaches, resulting in a significant improvement in terms of planning time, success rate and quality of the solution path.